The Boeing 787-8 the original Dreamliner. Boeing has delivered more than 360 of these popular jets. 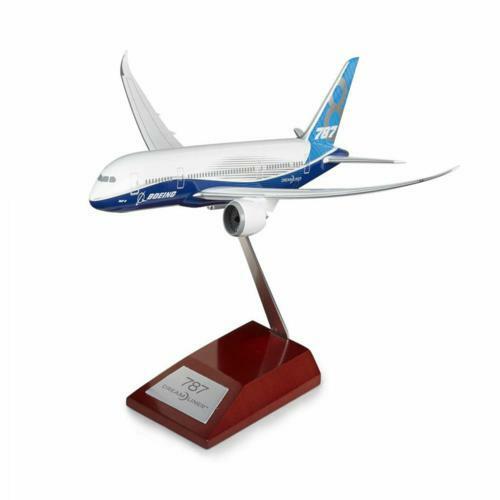 This high-quality 1:200-scale plastic model of the 787-8 features accurate details and updated livery. It comes with a wooden display stand and metal identification plaque and would be a perfect addition to any collection. Ages 14 and up. Measures 19 cm H x 29,2 cm L x 30,5 cm W.